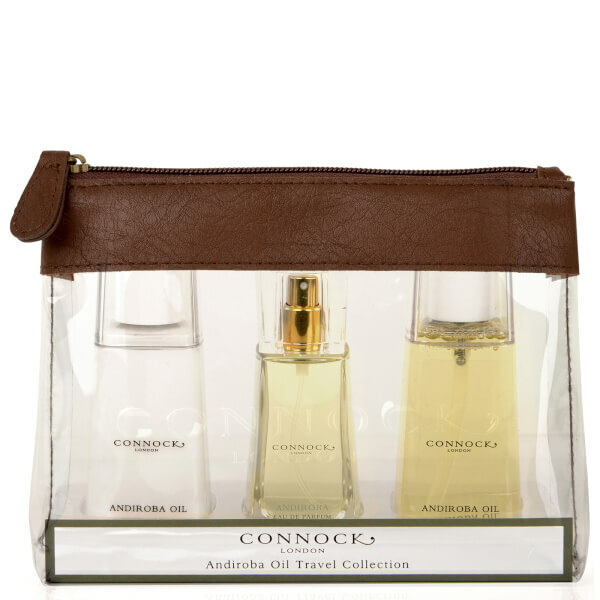 Connock London's Andiroba Oil Travel Collection contains the fresh, zesty EDP with two matching skincare products to leave skin feeling soft, supple and delicately perfumed from head to toe. Housed in a chic cosmetic case. A fresh, citrusy perfume powered by an infusion of fresh green accords. Inspired by the natural beauty of the tropical Amazonian Rainforest, the perfume opens with a burst of leafy notes, enhanced by Bergamot, Lemon and Brazilian Orange. Its floral heart encapsulates Iris and Violet, whilst its earthy base gives way to a blend of Sandalwood, Cedar and Musk, plus a small dose of Lavender and Peruvian Pink Pepper. A cleansing hand and body wash to gently lift away impurities and leave skin feeling refreshed and purified. Infused with the fresh Andiroba fragrance.